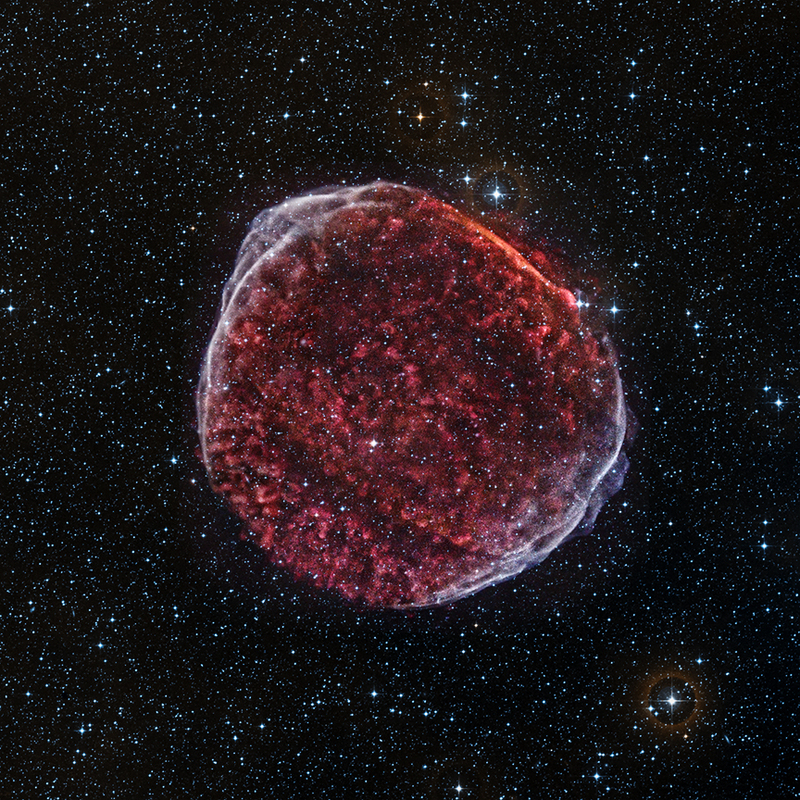 A long Chandra observation reveals SN 1006 supernova remnant in exquisite detail. 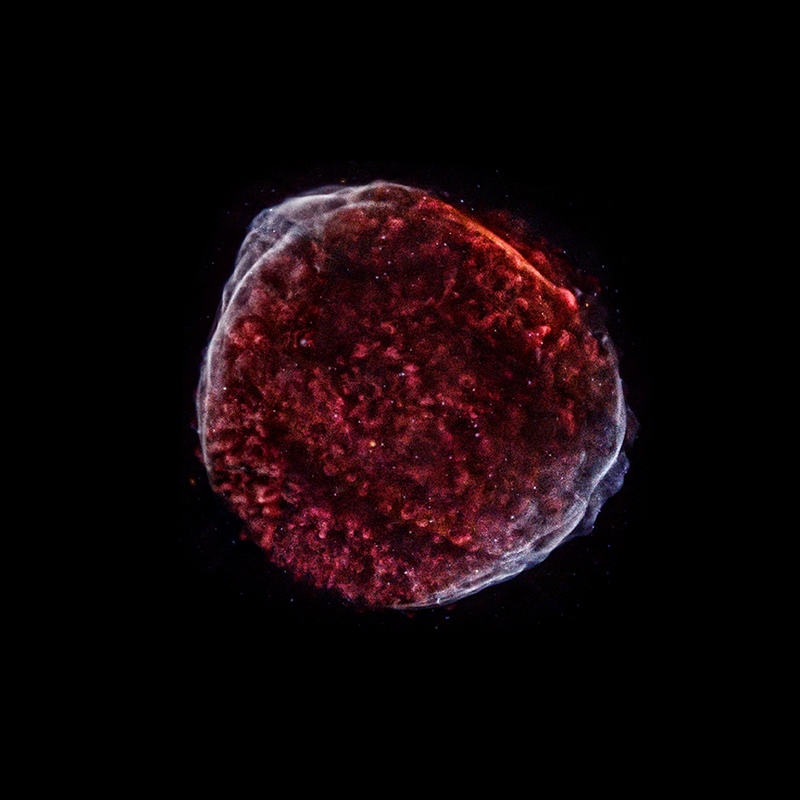 By overlapping ten different pointings of Chandra's field-of-view, astronomers have stitched together a cosmic tapestry of the debris field that was created when a white dwarf star exploded, sending its material hurtling into space as seen from Earth over a millennium ago. In the Chandra image, low, medium, and higher-energy X-rays are colored red, green, and blue respectively. The optical image shows the star field of the same area. Since SN 1006 belongs to the class of supernovas used to measure the expansion of the Universe, the new Chandra data provide insight into these important objects.